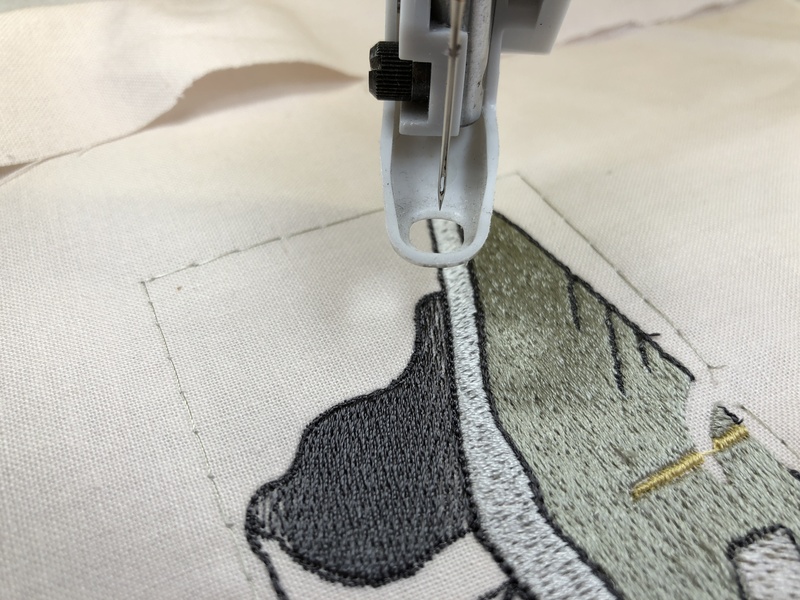 I have to admit that it is a frequent occurrence for me not to be completely happy with my stitch outs, so I have to ask if it possible to have a perfectly stitched out embroidery design. The larger the design and the more colour changes increase the possibility of this happening, and non more so than embroidering out my new Antique sewing machine. The reason for some of these mistakes and errors are not always obvious, like selecting the wrong thread colour. 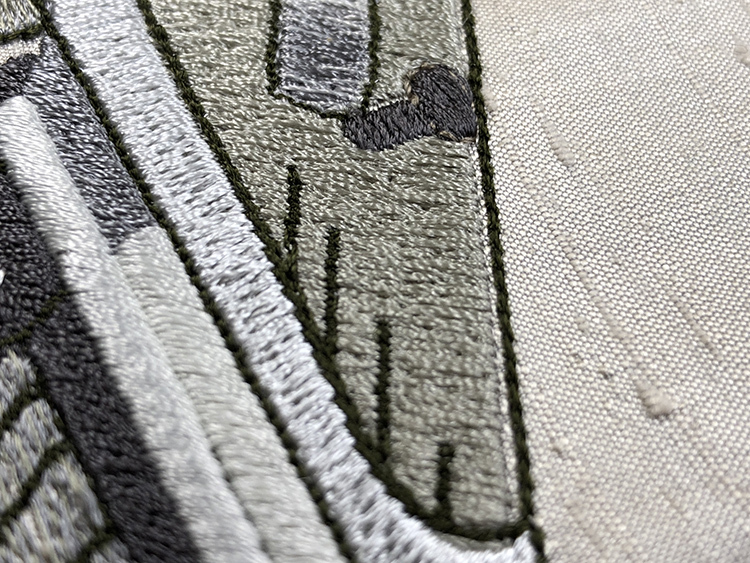 One of the common errors in embroidery can be a misalignment of outlines. Those nasty little gaps need to be filled but how? They have been annoying me for a long time, so let’s get them repaired. This happened on one of my stitch outs of the antique sewing machine on the stop plate and after all that effort I did not want to discard the embroidery. I kept the embroidery to one side within its hoop to think about the possibilities of how and whether I could do some repairs. Today I determined to repair the little gaps along one area of the machine. 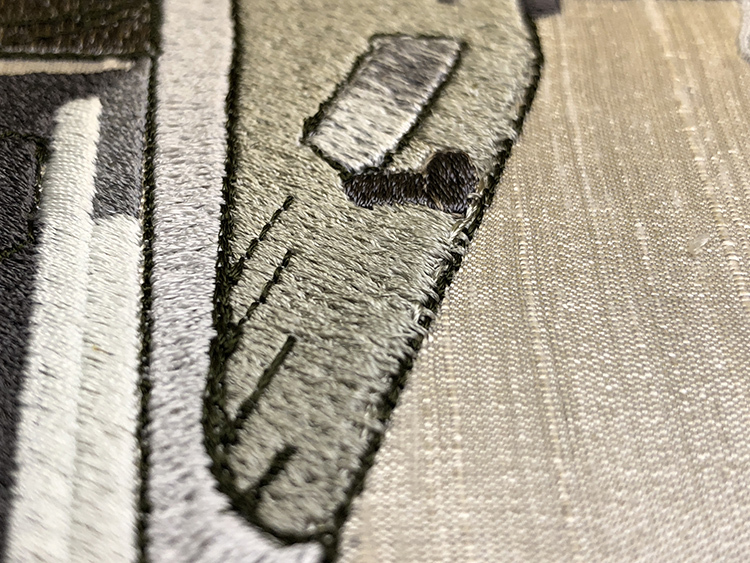 However I didn’t want to attempt any repairs until I had actually tested out free motion embroidery on my machine. 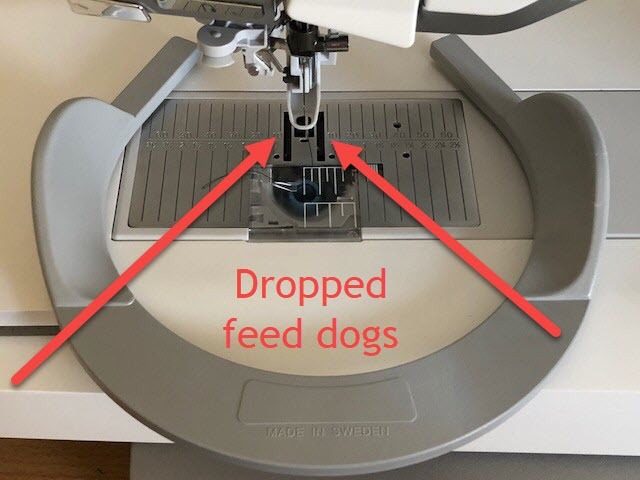 Obviously each machine is different but to do free motion embroidery the feed dogs on your machine need to be dropped so you have control over the fabric between each stitch. 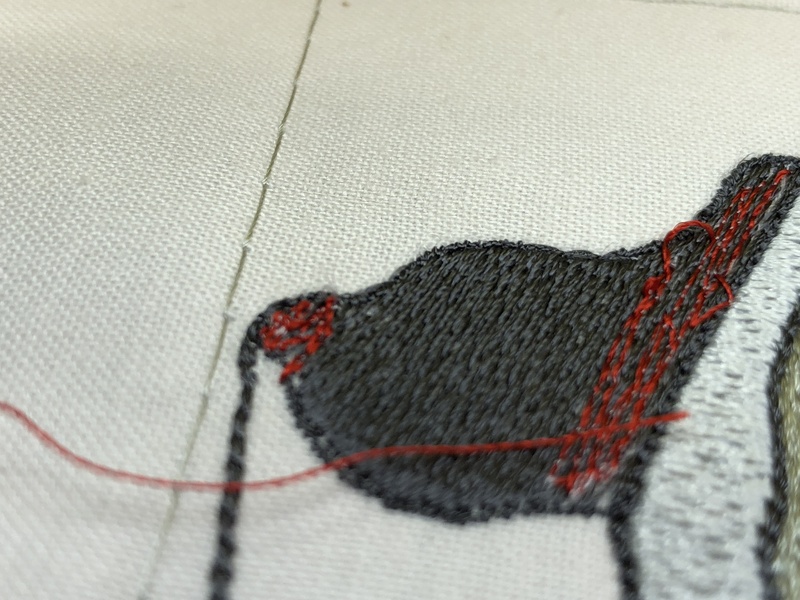 I found an old embroidery design with some gaps and placed red thread on my machine. I selected the free motion spring action on my Epic machine for the Sensor Q foot, where the feed dogs are lowered. You will need to check out your own manual to discover how you can do this. 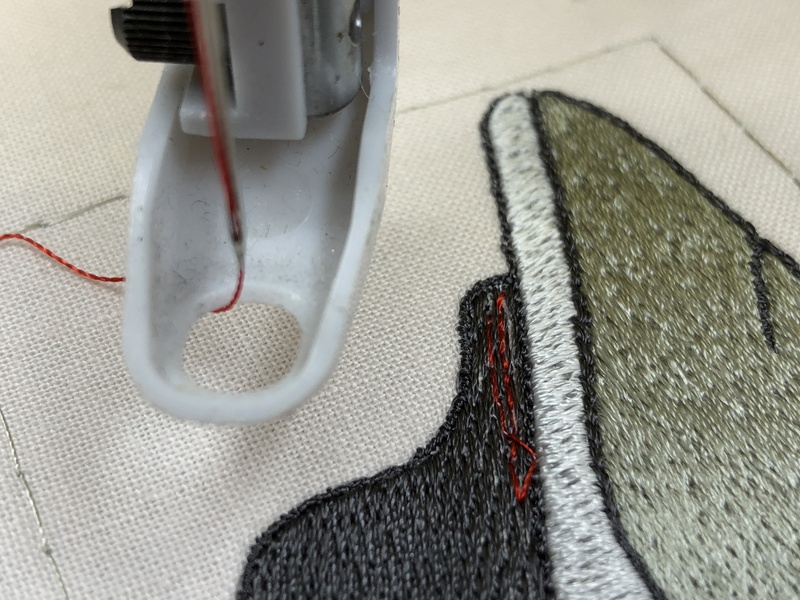 It is best to use the foot pedal so that both your hands can steady and guide your fabric. I have invested in the Husqvarna free motion grip that helps this process, and has handles to help you control movement. My first attempts were horrendous, but as with any new technique it is a matter of discovering how best to do it and getting confident with the right speed and technique. The red thread made it easy to see my mistakes. Large side ways stitches should be avoided as they will stand out, so try to aim for small stitches. I then tried some repairs on the stitch out which was only partially embroidered, using the correct colour thread and this was a lot easier. After several attempts I realised that the important thing is to build up a base if necessary and also to go in the right direction. Then it was time to start my repairs. Here you can see the gap I was intending to repair. I began with a line of stitches going in the opposite direction. When I began the stitches that went in the same direction, at first I tried to stay with the dark green outline but in the end let the odd stitch go over this, deciding that repairing the outline would give a better finish. I found it important to go slowly, stopping when necessary to take a break, as I became really tense doing this. 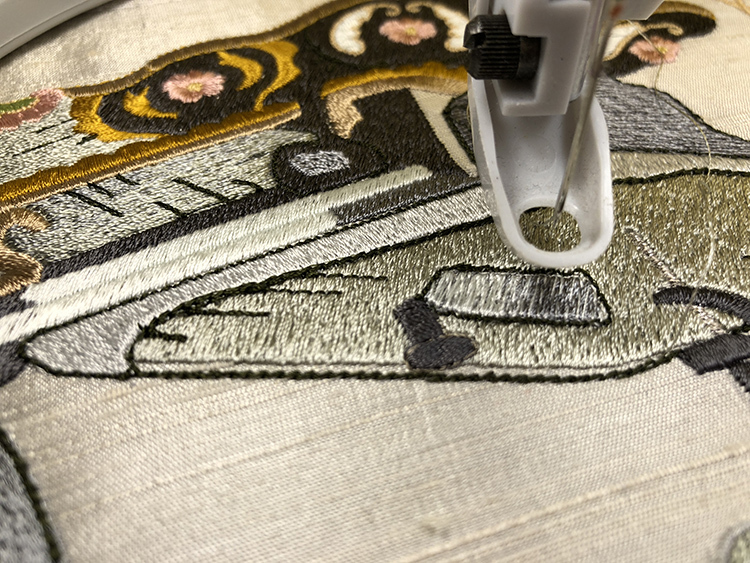 It is also important to make sure you secure your stitches before you finish your repairs. The area that I repaired was a fill that had random stitches, by that I mean that it was not a even fill so repairs where a lot easier to make. Here you can see that I have repaired the outline stitches. This is the finished repair. If it had been a satin fill I would have had to be more careful and precise with each positioning of the needle. 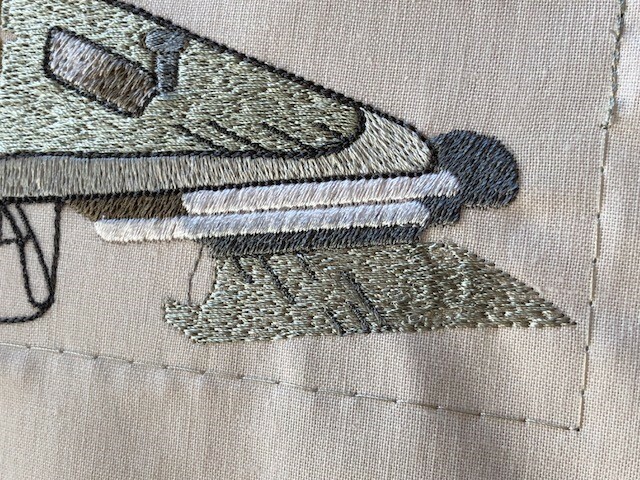 Having mastered this technique and seeing benefits of little repairs like this, I have to ask how else this technique could be used in machine embroidery? Maybe I will answer that one another time! 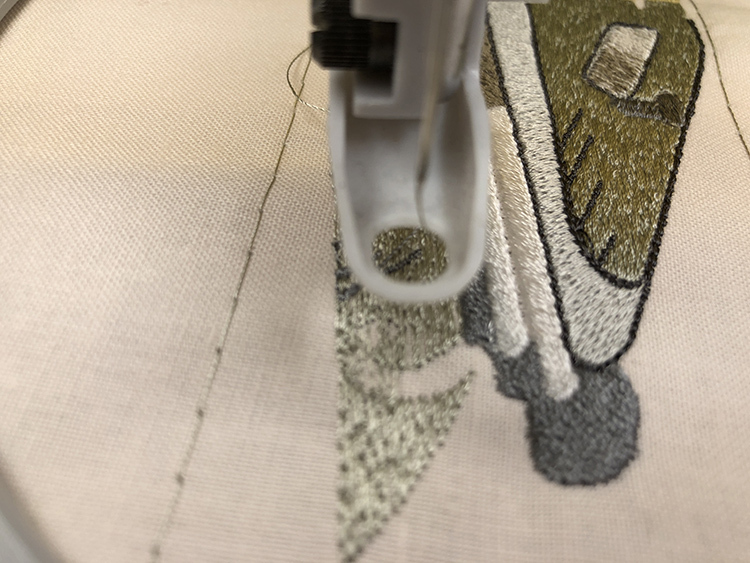 This entry was posted in Discussing machine embroidery, Embroidery projects, Tutorials and tagged Husqvarna Designer Epic, machine embroidery, repairing mistakes, repairs gaps in embroidery. Bookmark the permalink. That was really useful, Hazel. I recently had an embroidery design digitised by myself where th outline was ‘off’ I tried to satin stitch around the edge to fill the gap. It was reasonably successful, but your technique is a lot better. Always here to help you all improve your embroidery skills, as I improve mine. Thank you for your comment which was chosen as comment of the week. I have often done repair with high stitch count designs that took hours of time in an attempt to make my time and efforts not be in vain. 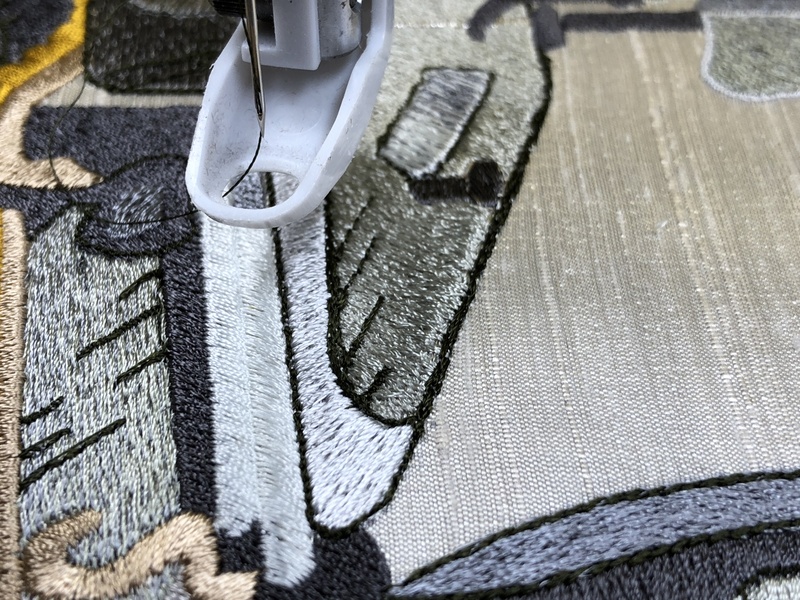 Your excellent photographs and instructions should prove to be most helpful to us all, as I feel sure that everyone that does machine embroidery experiences this from time to time and this is not an inexpensive hobby. As much of a perfectionist as I am, I just have to try before I trash a project I have invested so much of my time, energy and supplies in. Thank you for broaching this subject! Hi Hazel, thanks for the detailed description with matching photos for each step. ;I have definitely had the outline be off on different occasions and your solutions are awesome. 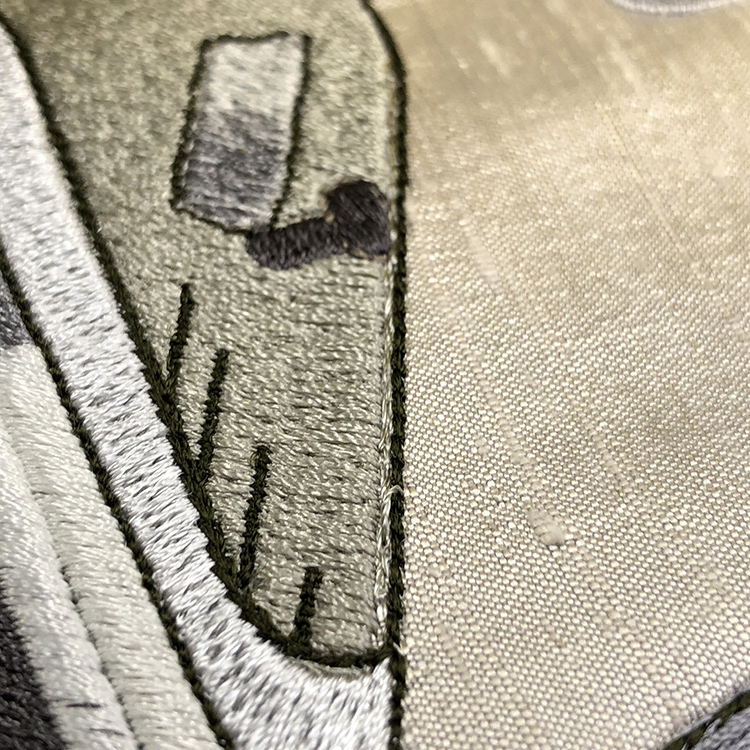 I have filled in areas where the outline was off with some hand stitching , but really like the way you used free motion to remedy this situation. When things go wrong in our stitch outs which does happen to us all, it is a great opportunity to learn new skills to save them. Just re reading posts! I hope if I ever have to do a repair I can do it as well as you!